So, I've done my first project with Knitpicks' Independent Designers' Program (IDP), and a second version of Deckhand is the result. It has the same sizing range as the one in Avast No. 1 but is worked in Knitpicks' Comfy Worsted. I enjoyed working with Knitpicks the company and have some more ideas brewing for future projects. Perhaps a Deckhand with some shaping for me? And I really liked Comfy (75% Pima cotton, 25% Acrylic microfiber) - silky with a nice drape often missing from straight-up cotton, and it's machine-washable - so important for the small set. You can find my KP IDP profile here, and the KP version of Deckhand here. Yo, ho ho and a ... new pattern booklet. 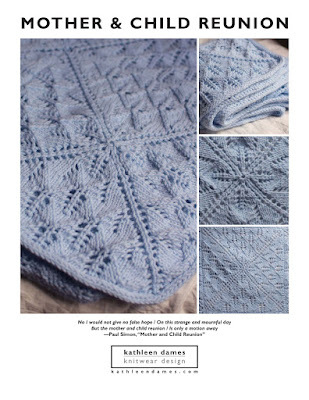 Now available on Ravelry and Etsy, my first pattern ebook! Avast No. 1 contains patterns with notes and charts (where necessary) for eight piratical knits suitable for summer (or any) time knitting. Fibers like linen and cotton are great for summer knitting, as is laceweight wool. And if you don't want to give up worsted weight yarns, there are smaller accessory patterns so you don't end up with a pile of wool in your lap - I can't tell you how happy I was to finish my Austen Knits project at the end of May, just a things were starting to heat up here in New York. I've done my best to describe things clearly, providing both charts and written out patterns where I can, and including lots of helpful notes in every pattern. If you can knit and purl, I am confident you can create any and all of these projects, and if you get stuck, I'm always available to help! There are 24 pages for all eight patterns, letter size, and, as always, I've set things up so that you don't have to print the cover pages with all the "pretty" pictures, just the notes and pattern pages (sometimes the same page) to take with you in your project bag. There is a list of abbreviations at the beginning, but I've also included them in each pattern as needed, so you don't have to refer to the entire booklet. While the booklet is full-color, the patterns can be printed in black-and-white without losing any valuable information. To be of even more help, I'm going to set up a Group on Ravelry to help with my 17 (seventeen? when did that happen?!) patterns, perhaps start a KAL or two, and generally get to know more knitters. I'll post the details once I know them and hope you'll join me. Though most sailors run barefoot on board a ship (easier to climb the rigging), sometimes socks are necessary. Walk the Plank are worked in worsted-weight from the toe up (with complete directions for a short-row heel), so you can quickly use up every last bit of your yarn. The Sailor’s Rib is attractive and easy-to-remember, so you’ll have a new pair of socks in no time. An essential part of any pirate’s kit, a watch cap keeps your head warm whether you’re hairy or not (pirates often shaved their heads to streamline their grooming routines). Wear your Night Watch Cap with brim folded in classic watch cap style or unfold the brim and push it back onto the crown of your head, letting the top flop back. With this rib pattern you can have the fancy side showing or go incognito with plain ribs. If you weave your ends carefully as you go, you can flip the hat from knit to purl side for four looks. A note on sizing: The ribbing on this hat allows the circumference to stretch from 16-22 inches, making it a hat that will fit most adults (and some kids).